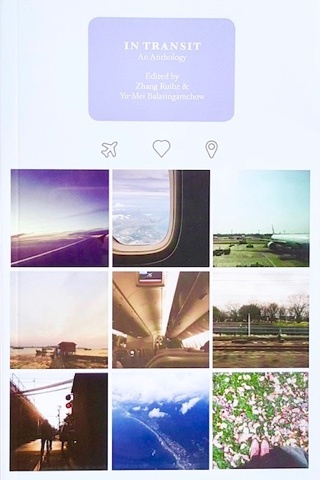 In Transit: An Anthology, is a collection of short stories, essays and poetry using Singapore’s Changi airport as either their focus or launchpad. Zhang Ruihe and Yu-Mei Balasingamchow have edited a collection of snappy and intriguing pieces, from the whimsical, to the heart-wrenching, to the grim. Who knew an airport could be so ripe as a backdrop for stories? Writers in the collection tease out wide-ranging issues relating to identity, nationalism, class and relationships. Through the airport’s prism we see Singaporean families grow together and grow apart; lives shift and resettle as characters swing through the exit and entrance door to the stage of life in the city state. Every person at Changi has a story, either about where they’re going or where they have come from, in reality or metaphorically. But this anthology frequently takes the route of the less obvious, giving us the perspectives on life of the trolley uncle, the airport screener, the flight attendant, the immigrant Indian labourer… perhaps people the typical traveller doesn’t see as they craft their own individual stories, suspended in that arc—like purgatory, one protagonist describes it—that takes them door to door on their own journey. But travellers do feature, too, as their distance from Singapore paradoxically allows for their reflections on home to click into sharp focus. As the informative introductions to In Transit explain, Changi airport was pivotal to Singapore’s development and has been, to date, possibly its most famous product; it’s not a stretch to say that once a traveller has been to Changi, other airports typically won’t measure up. While having the airport as a constant could have been contrived, it feels like a natural focus and instead serves as a point of commonality between Singaporeans and the reader; if they haven’t been to Changi, they have almost certainly heard of it. If you’ve flown through Changi, or you plan to, snap up this collection by these excellent Singaporean writers. And be warned: someone may very well be observing you as a character the next time you flit through the airport yourself.